GetDivorcePapers.com provides professionally completed, 100% court-approval, money-back guaranteed Arizona divorce forms. Just create an account, complete the interview, and file for divorce. Our case managers do all the work for you, and send the completed Arizona divorce forms when they are ready to be filed. Either of the two parties is required to be the resident of this state for at least 90 days before filing the case. In addition to this, he or she will have to wait for another 60 days after the submission of the papers in the county of the plaintiff. Arizona covers both types of the reasons for the divorce cases i.e. no-fault and fault divorce cases. In no-fault cases, a marriage comes to an end without any wrong doing from either of the parties. However, for fault reasons, one may come up with the incidents of the aggression, over drinking and drugs, conviction to the crime and jails, use of abusive language, dissatisfaction in relationship, and adultery. Whatever the reason is, both the parties are required to agree with the issues and validate them. Feelings and affection that a child has for either of his parents. His or her needs for the education. Health, social circle and community of the child. Any sort of the abusive language used by the parents. Environment of the houses of both the parties. Openness shown by either of the spouses to have open relationship of the child and the other spouse. Physical and psychological conditions of the parents. Adaptability of the child to a new environment and community. Sometimes, a joint custody is also permitted if it is the best solution for the optimal nurture of the child. The state also gives rights to the grandparents to visit the child on frequent basis. 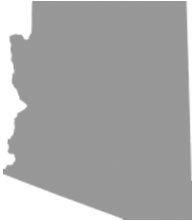 States of Arizona is responsible for providing the child with the essential support. For this, expenses and needs of the child are determined. His medical and educations needs are required to be met as well. However, courts can reassess the amount if it turns out to be unfair with any of the two parties. Arizona is a community property state that leaves the rights of the separate property before the marriage with the real owner. However, property acquired after marriage is equally distributed between the two parties. In addition to this, financial debt is also distributed between two in order to provide the justice. Courts of Arizona provide the spousal support to the either of the party deserving it on the basis of financial strength. In this regard, occupation of the parents, their monthly income, needs of the party claiming for the maintenance, skills of the parties, and the future chances of better employment are taken into consideration. Arizona State provides the parties with the option of mediation if they want to have it in filing of the divorce case. There is no need of a lawyer when applying for divorce in the state of Arizona . A divorce case which is filed without any help of an attorney in any of the states is known as Pro Se Divorce. Literally, Pro Se is a Latin phrase and it means "on her or his own". Process of getting the divorce without the help of lawyer may vary from one State to another. These types of divorces are perfectly legal and enforceable in Arizona , and are actually very convenient. Usually, once settlements have been made regarding property distribution and custody matters among the spouses in case of a mutual divorce, Pro Se Divorces are filed.